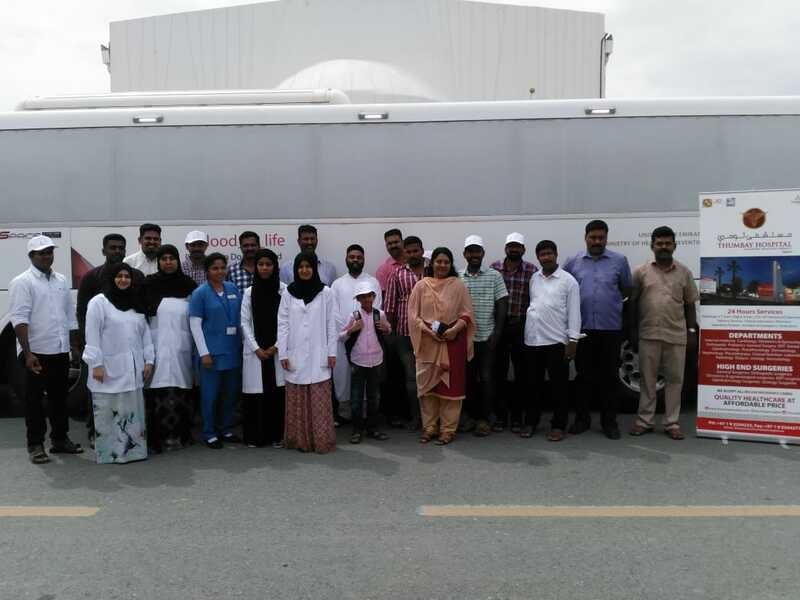 Thumbay Hospital – Fujairah, the leading academic hospital under Thumbay Group’s Healthcare Division organized Blood Donation Camp in association with St. Gregorios Indian Orthodox Church, Fujairah and Ministry of Health – Fujairah Blood Bank on 22nd March 2019, aimed at promoting awareness on the importance of blood donation as Corporate Social Responsibility. 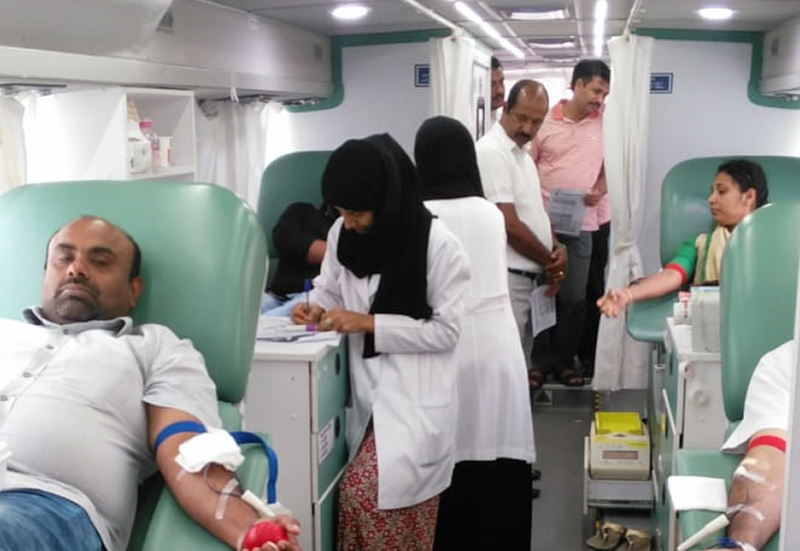 As part of the campaign, Thumbay Hospital – Fujairah and Ministry of Health – Fujairah Blood Bank supported the community by updating the people about the Dos & Don’ts of donating blood. 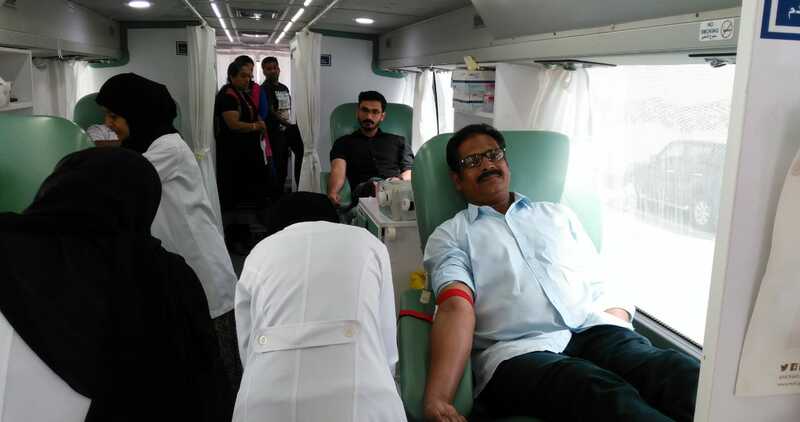 In addition to the blood donation camp the donors were offered with gift hampers & refreshments by Ministry of Health – Fujairah Blood Bank at the event. The event was witnessed by Fr. Abraham Thomas – the Vicar of the Church & President of the Church Committee. The Management of Thumbay Hospital, Fujairah announced that the hospital has plans to conduct more awareness activities focused on health awareness across organizations in the Emirate. Thumbay Hospital Fujairah is a 60-bedded multi-specialty hospital having Joint Commission International (JCI) & Sheikh Khalifa Excellence Award (SKEA) accreditation.